Aside from skincare products, nothing makes me giddier than a new lipstick. 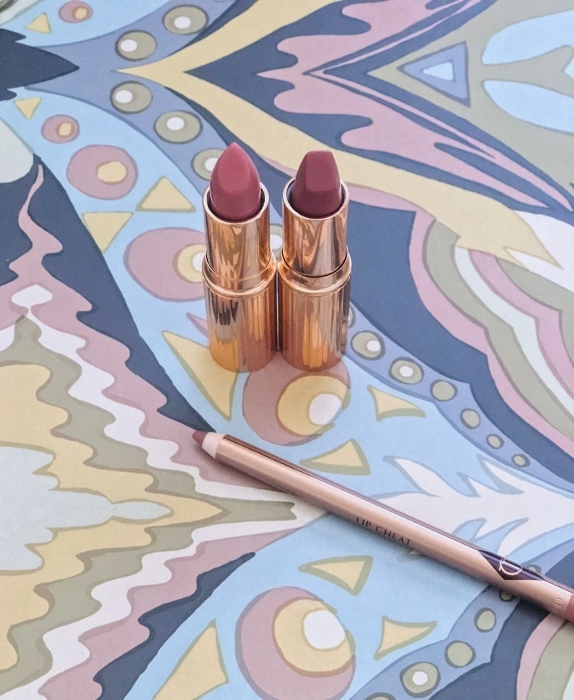 I've heard from countless beauty bloggers that Charlotte Tilbury is the Rolls of lipstick (For me, more like a Tesla). They are quite expensive, so when the Nordstrom anniversary sale featured a lipstick and liner set, I purchased immediately. It includes the best-selling Pillow Talk lip cheat liner and two beautiful "your lips but better" lip shades that are exclusive to Nordstrom. Honestly, both lipsticks look rather ordinary, nothing special aside from the gorgeous rose gold packaging. But let me tell you, they are anything but ordinary. First let's talk about the iconic Pillow Talk lip liner: It's a great rosey neutral that looks good with any lipstick. I find it to be ultra smooth, creamy, and long-wearing. I can see why it's become synonymous with the brand. 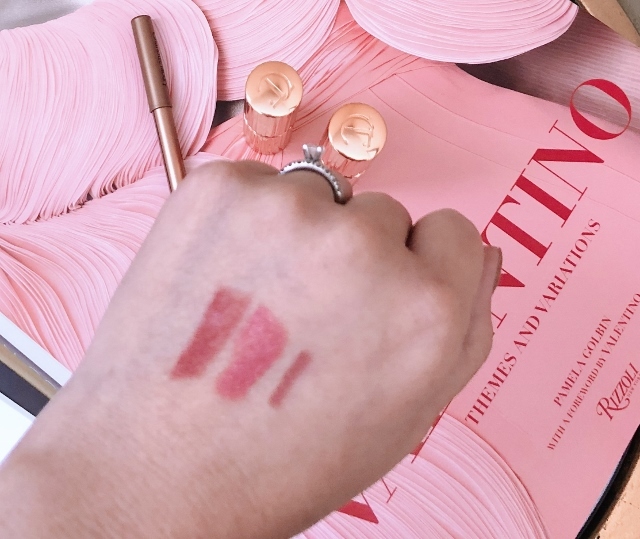 If you try just one thing from Charlotte Tilbury, start here! K.I.S.S.I.N.G. lipstick in Blushing Dream (cool-toned rosebud pink with a satin finish): Out of the two shades of lipstick, this one is my favorite. Soft, neutral, but still enough color that I can slap it on whenever I want. Perfect for everyday, it has a slight sheen and feels really moisturizing. Matte Revolution Lipstick in Rose Kiss (warm-toned merlot with a soft matte finish): Although I love the idea behind matte lipsticks, I always find them to be somewhat drying and difficult to pull off on their own. This matte formula is comfortable and lasts through hours of talking, drinking, and eating. It will look beautiful in the Fall and Winter when I like to wear darker shades on my lips. 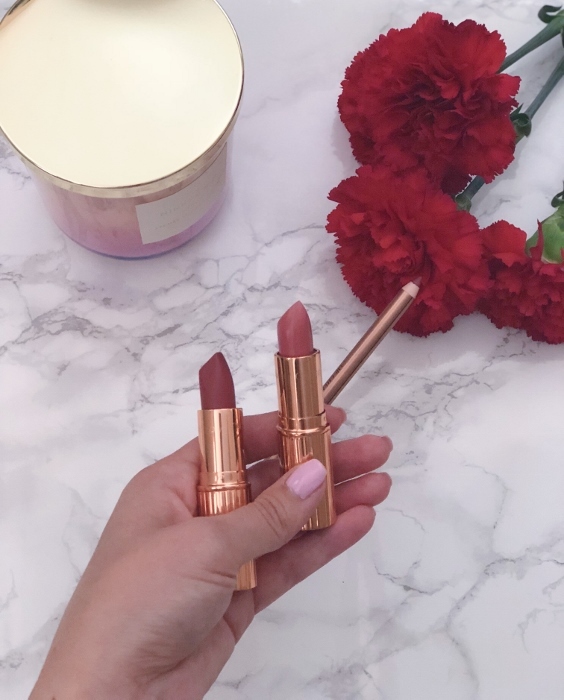 Have you tried Charlotte Tilbury yet? If not, I hope you treat yourself soon because these products are amazing! I've been wanting to try this brand but I have so many lipsticks already I cannot justify getting new ones but one day I will. Yours look so pretty. Yes, one day definitely try them for yourself! I think you’ll love the brand! I've heard that this is like THE brand but I never have anywhere to try them in person so I have learned it's best to not try until I'm IRL. Buttt I am going to Florida tomorrow so maybe I can check it out. I've heard that Charlotte Tilbury liners are THE BEST so I'm glad to hear you agree with that consensus! At some point I will have to cave and give them a try! The lipstick colors look gorgeous too! I haven't tried these brands, but your review sounds great. Like you I am not a big matte lip color wearer. These are such pretty shades!